Complete with a measuring scoop and a cup, operating the Minipresso isn’t rocket science either! All you need to do is measure espresso grounds, tamp them, pour 2.4 ounces of hot water and begin pumping! 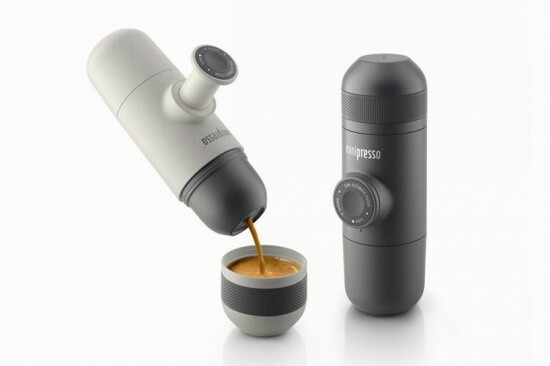 To further state its claim of the Minipresso being simple to use, Wacaco says the process is “much easier and faster than to inflate a bicycle tire with a hand pump.” The Wacaco Minipresso is available on the manufacturer’s website for just $39!